Delivering a speech at Chatham House, London, Somaliland’s president Silanyo addressed a wide ranging international audience of over 200 people. He outlined recent democratic developments in Somaliland and its legitimate claim to independence. It gives me great pleasure to be with you here as the representative of my people and our country, Somaliland. I am most grateful to Chatham House and the Royal Institute for International Affairs for extending this kind invitation to us. It is symbolic of the longstanding interest and commitment to constructive dialogue and positive engagement on the important issues affecting the Somali people that the Royal Institute for International Affairs and its members have illustrated over many years and decades. We believe that the success of our elections has demonstrated Somaliland’s commitment to the “democratic principles, human rights, the rule of law and good governance”, which are enshrined in the Constitutive Act of the African Union. I am immensely proud of the achievements of my people born out of struggle for survival and recognition in the face of isolation and hardship. I want to take this opportunity to pay tribute to the people of Somaliland, and ask them to remain steadfast in their commitment to peace, democracy and the rule of law. Having previously suffered from years of neglect by Mogadishu, and compounded by the conflict that followed, as well the somewhat uncertain approach of the international community, Somaliland had a difficult past. However, a tremendous amount has been achieved in the past 20 years. Under my Administration, we will seek to find new opportunities building on the achievements of the past 2 decades – to promote the social and economic welfare of our people. While we are very grateful to the international community for the humanitarian support which they provided, we would like to see more emphasis on development to ensure a successful transition from humanitarian assistance to recovery. The peace dividend must be manifest in concrete results for the people of Somaliland. My Government also recognizes the need to boost Somaliland’s exports and diversify its markets. Provided that the issue of veterinary certificates can be overcome, we do not believe that it is fanciful to think of exporting our lamb – which is excellent, by the way – to the European Union. The lifting of the ban on the export of livestock from the Rift Valley by the Kingdom of Saudi Arabia was an important and welcome development, but the ban demonstrated the need for Somaliland to have other outlets for its trade. I make no secret of the fact that my Government’s ultimate goal is full international recognition of Somaliland’s independence as a sovereign State. We believe that such international recognition, long over due, will allow us to unlock more direct assistance, promote more trade and investment, maintain our security and further the social and economic well-being of our people. 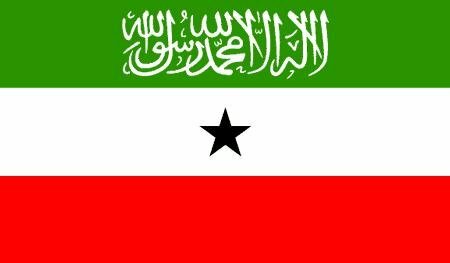 Despite our non-negotiable position on independence, Somaliland bears no ill-feeling towards our neighbour Somalia, as it’s in nobody interest to see the conflict in the Somalia perpetuated, and wishes the administration of President Sharif, and other relevant parties in that country success in ending the long suffering of their people. Somaliland is not an island: for good or ill it is affected by events in neighboring countries. Far from wishing to turn our backs on our neighbors, my Government wants to improve its interaction with them and with regional organizations such as IGAD and the AU, to make sure that Somaliland’s voice is heard, its interests are promoted, and the security of its people and neighbours assured. Ethiopia, Djibouti and Kenya will be key partners in the region. In the same vein, we want closer links to the EU, the UN and its specialized agencies, and the League of Arab States. We also hope to secure stronger ties with individual donors, not least the United States, which recently announced its dual-track policy that will see direct aid and cooperation with Somaliland increased. I very much welcome this as a positive step in keeping the realities on the ground. In sum, Somaliland has achieved democracy, peace and stability largely through its own efforts. As a new administration we have also met many of the benchmarks we set ourselves for our first 100 days. With the support of our people, we are determined to go to the next level and build a state on the foundations of the rule of law, democratic principles and good governance. With the help of the international community, and the support of our regional partners, I am confident that Somaliland will take its rightful place amongst the community of States.